Now people asked me with a raised eyebrow why I chose to travel to Liege when at the same time there are far better cities in Belgium to visit such as Bruges, Ghent or Antwerp. To them I say don’t judge a place until you have visited it yourselves, for even towns like Liege can turn up the most unexpected of surprises. Sure Liege doesn’t have the reputation of its rather more famous and flashy neighbors, but it also remains a very interesting city to pay a visit to. The city has plenty of history and is built on the banks of the Meuse River. It is situated near Belgium’s eastern borders with the Netherlands and Germany. To make it even more famous it is the birthplace of Emperor Charlemagne. Liege was once the heart of the Industrial Revolution on the Continent and the coal and steel industries are a great part of its heritage. This city also offers easy access to the Spa Formula one racing circuit which, in my opinion, is one of the best circuits in the world. Liege is the economic capital, in Wallonia, the French-speaking region of Belgium. 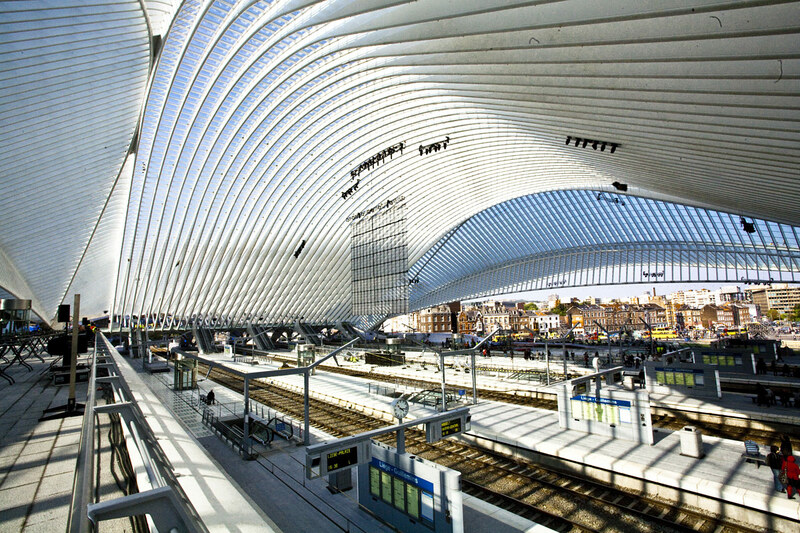 Right from the time you reach Liege, you will do well to be not impressed by the size of the impressive railway station. This is a very impressive and modern station and almost resembles a modern football stadium from outside. 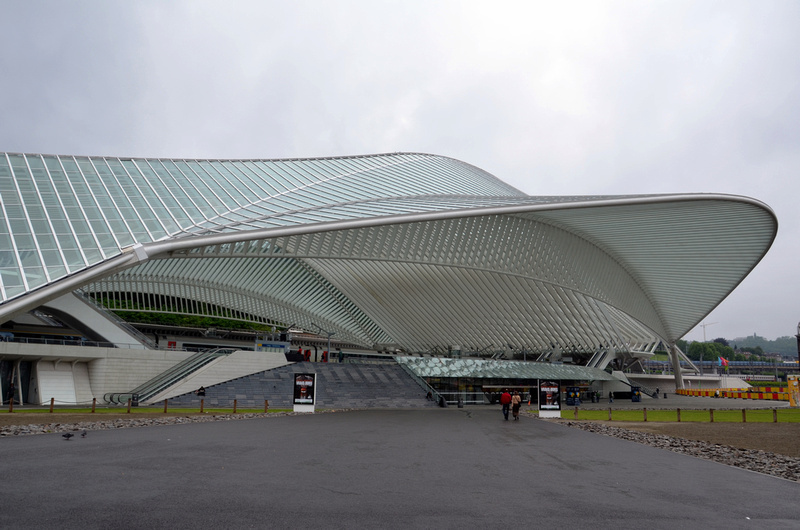 This station was designed by the world famous architect Santiago Calatrava. Liege is also home to some very fine museums and art galleries. The Grand Curtis Museum, built in the 1500’s, exhibits an exceptional collections of archaeology, decorative & religious art, glass (one of the top crystal and glass collections of the world), Napoleonic memorabilia and the Arms museum featuring 1,000 arms both antique and modern from over the world. Being located in Wallonia, there is also the presence of The Museum of Walloon Art which has a wide range of works, everyday objects from the 16th to the 21st Century. At the end of the day if all you want is a good walk to clear your mind Liege has the Coteaux de la Citadelle. This is a journey back into time, filled with beautiful courtyards and orchards. The Montagne of Bueren is a 374 steps long staircase built in 1881. 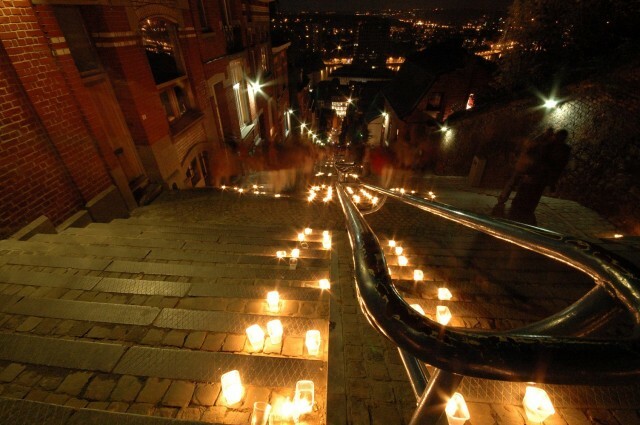 For the past 20 year, the first Saturday of October, a walk is organized at night lit by 15,000 candles. 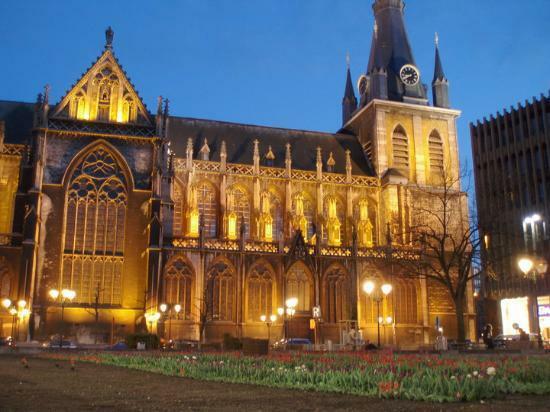 Liege is also home to the Liege Cathedral which is an architectural wonder and dates back for quite some time. Liege also has a very interesting array of food culture. 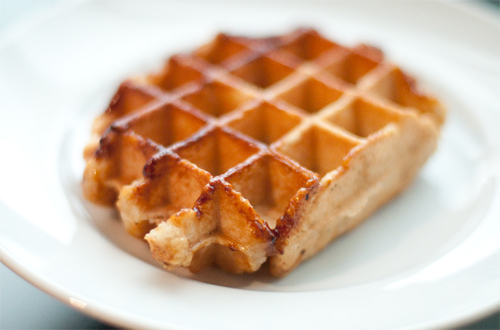 The specialties of the region include Boulets a la Liegoise (Liege meatballs) and Liege Waffles. Liege is also a University town much like Leiden, without the ubiquitous canals of course! A visit to Liege can be quite cultural in all ways. As you walk around the city not only will you see history and art but also experience the spirit of the city especially when you take the time to wonder through Liege’s streets. A very fine place to visit at the end of the day! 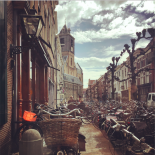 This entry was posted on March 17, 2014 by admin@theleidener in Culture, Deepu, Travel and tagged Deepu, Liege.